Bangalore, the capital of the Indian state of Karnataka, is the third most populous city in India and home to 10 million people. Bangalore currently draws about 1400 million liters per day (MLD) of water from River Cauvery that flows 100 km away and which meets just over half the city's needs. The rest of the city's water needs are drawn from fast depleting groundwater resources the quality of which is also deteriorating. Increasing dependence on the river will not work as there is a cap on withdrawal from this highly contested river as it flows through many states where there are ever increasing demands from industrial, agricultural and urban sectors. There is serious concern that such high water stresses could easily escalate into community discord and possibly affect inter-state relations as well; for violent conflagrations have occurred before on this issue. Historically, communities across South India developed a network of small and large lakes interlinked to form a larger watershed to provide critical water security in a semi arid region otherwise dependent only on seasonal rivers. This helped recharge groundwater, provide surface water for a second crop in the non-rainy season, improved local climatic conditions and provided for the emergence of biodiversity rich wetland ecosystems. The current metropolitan area of Bangalore (approx. 1400 sq. kms.) had over 600 such lakes till about two decades ago and these provided water for drinking, irrigation, horticulture, and industrial activity. In addition, they served as important wetland habitats, especially to migratory waterfowl. Urbanisation has caused serious damage to these lakes systems in recent decades and contributed to deterioration and dislocation of lake communities that protected and maintained these commons. Today, these lakes are sites of serious contamination and encroachment, and less than 450 lakes survive in various stages of deterioration. This has had a debilitating impact on groundwater levels, a resource that supports about half the water needs of the city's population. 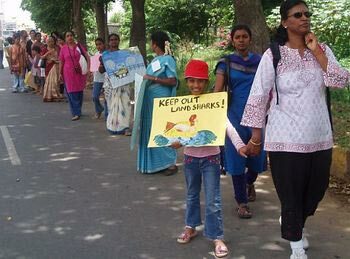 There were serious efforts by the Government during the late 1980s to save Bangalore's lakes as a step towards utilising the waters to augment the city's ever growing water demands, and also as a measure of conserving them as commons and biodiversity hotspots. Subsequent decades failed to build on this work and soon corrupt forces encroached lakes for real estate, gross administrative neglect contaminated them, resulting in the prevailing dismal state of affairs. The challenge now is to alleviate this situation and rehabilitate lakes and their interconnecting canals with community-government-corporate action under the supervision of the judiciary. When the Environment Support Group (ESG) began addressing this situation about a decade ago, most saw this as a futile and dangerous struggle against well organised corrupt forces. 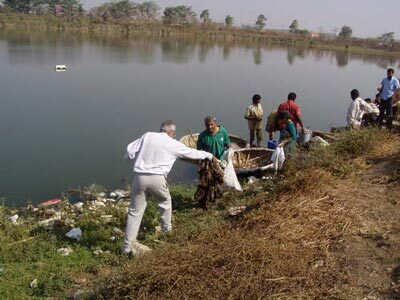 Yet ESG persisted, organised local communities, and ran a series of campaigns for conservation of lake systems. These were backed by multiple workshops to build awareness about the criticality of protecting these waterbodies for the benefit of present and future generations. The basic intention was to ensure that lakes remained as commons, and that they were functional ecosystems that provided a variety of livelihood, cultural and social services. Law and policy was evolving to support such an understanding of lakes as commons, though the schemes and programmes of government agencies had lagged behind. As privatisation of lakes gained ground, the approach was largely accepted by middle class Bangalore as a progressive one. The theme of reclaiming the commons evolved as an idea in peoples' minds, and they began to see that privatisation of lakes would result in the exclusion of their access to them. Soon what were small numbers of supportive people grew into large networks, resulting in significantly large protests in 2007 and 2008 against lake privatisation. The positive outcome of this was also that local communities began to step forward to secure their lakes which were being encroached and polluted. ESG then moved the Karnataka High Court in a Public Interest Litigation (Writ Petition 817/2008) which resulted in two major reliefs: a status quo was ordered on the ongoing privatisation of lakes and a Committee involving nine agencies of the Government officiated by a sitting Judge of the Court was constituted to develop a comprehensive plan and strategy to protect and conserve Bangalore's lakes for posterity. The Court appointed Committee commenced its work in December 2010. A series of meeting were held to hear the submissions of various parties. All agency heads were required to participate in every meeting along with their supportive technical staff. As key petitioner and initiator of the idea, ESG was asked to assist the Committee in formulating the report. This was achieved by February 2011 and every public agency of the Committee arraigned for the tasks subscribed to the proposal. Under the direction of the Court on 3 March 2011, this document has become binding on the Government. When the 450 lakes that remain now are completely rehabilitated along with their interlinking canal networks, a massive absorption of rain water into groundwater aquifers due to percolation from within the lake systems is anticipated. For urban communities this will be a significant boon: wells and tube-wells will find water levels rising, water quantities and quality will improve, and there would be decreasing energy demands in drawing water out. For peri-urban and rural communities, mostly based on subsistence farming, which supply vegetables and other farm produce to the city, this means safer water, better crop growth and thus improvement in yields. Fishing communities will prosper, once more, thus providing for a better family life that has suffered over the past decade substantially. Similar would be the prospect for cattle grazing communities; access to safe water would also mean better milk yields. The environmental relief that clean and well conserved lakes provide is unmeasurable. Mid-winter Waterfowl Census over the past two decades have revealed that there is a significant decline in the carrying capacity of lakes in supporting the variety and numbers of local and migratory waterfowl due to pollution and loss of lakes, especially over the past two decades. The present plan is absolutely designed to ensure that the ongoing rehabilitation of lakes is to promote them as wetland habitats, thus improving their capacities to support waterfowl and a variety of other flora and fauna. With ongoing efforts, urban residents will significantly gain access to sylvan open spaces, providing a variety of environmental and public health benefits. Overall, this effort will have significant positive gains in a highly water-stressed city. The urban poor will benefit the most, as none of these possibilities exist for them in the current scenario. Bolivia is the fourth poorest country in Latin America, after Haiti, Honduras and Nicaragua. 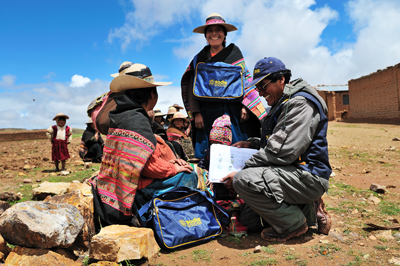 At least 6 out of 10 Bolivian live below the poverty line and 4 out of 10 in extreme poverty. This means there is often no access to basic drinking water supply and basic sanitation facilities. This and the existing hygiene practices means a high risk of water borne diseases and high mortality rates. Respiratory illnesses, mainly pneumonia, diarrhea and undernutrition or a combination of these cause 7 out of 10 deaths of Bolivian children. In Cochabamba, in some municipalities such as Arque, Tacopaya, Bolívar and Sacabamba the under-five mortality rate is higher than the national average. Women are particularly confronted with water-related problems which are characterized by scarcity, pollution and the increasing needs of households and the community. On the other hand, the situation of poverty and marginalization of women is associated with their lack of training and empowerment which constitute a barrier to express their problems and expectations in relation to water, sanitation and hygiene services. For this reason, it is necessary to overcome the barriers generated throughout a history of discrimination, which strives to incorporate women as actors in their own development and health, with a perspective of gender and interculturality. In response to this situation, arose the need to develop a comprehensive strategy for the promotion of safe drinking Water, Sanitation and Hygiene (WASH) to integrate actions of promotion, participation, community empowerment and institutional strengthening, with a strong emphasis on school children and women's organizations as central subjects of the processes of change at the individual, family and community level, without neglecting the participation of men. 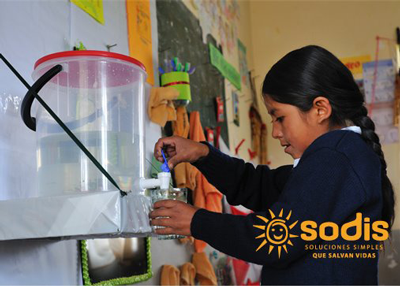 The objective of the Project was to increase access to safe water, improve hygiene and sanitation in the municipalities of Arque, Tacopaya, Bolivar and Sacabamba, in Cochabamba, through the participation and empowerment of the community, with a gender and rights approach to ensure a change in hygiene practices (handwashing with water and soap), consumption of safe water (treatment, management, and house storage), and adequate disposal of excreta and adequate use of existing services in the 4 municipalities. Strategy 1: Community empowerment and participation in hygiene improvement. 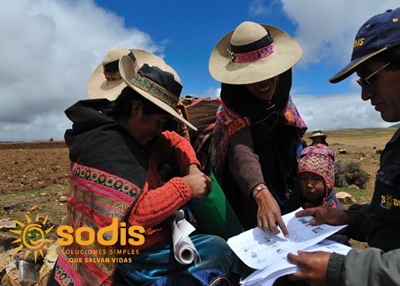 This strategy responds to a participatory process of women, which involves empowerment for decision making in all the project´s intervention, since the identification and analysis of their problems with hygiene and sanitation, to the design and implementation of solutions. It is a flexible process that responds and is adapted to the different situations of women and on the other hand, becomes a gradual appropriation of management tools for the formulation, implementation and evaluation of community education projects in hygiene and sanitation. The methodology defined the following activities: i) site diagnosis; ii) Women Community Base Organization selection for the project; iii) community auto diagnosis; iv) Development of community projects; and v) Monitoring and evaluation. Strategy 2: Water, sanitation and hygiene in schools. This strategy was implemented with the aim of producing changes in hygiene behavior of students and, through them, the community in general. 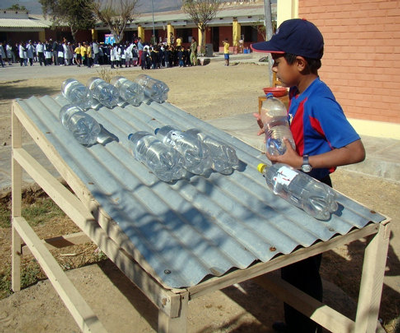 The methodological process used was: i) the signing of agreements with authorities of the District of Education; ii) development of a school plan; iii) training of teachers; iv) apply the training skills with students; v) safe water consumption practice in schools; and vi) washing hands and practice in their homes. Eight women's groups implemented a community self-assessment processes with community organizations to identify and prioritize their needs related to the availability of safe water, sanitation and hygiene. Eight Community-based organizations of women with educational community projects developed to respond to the problem of safe water, sanitation and hygiene prioritized in the self-assessment. 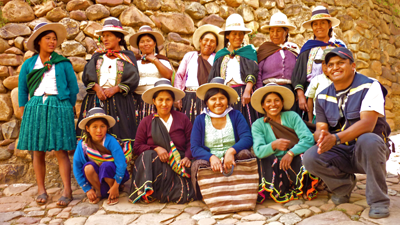 Eight Educational community projects were implemented by community-based organizations of women, whose funds were administered and reported by them. Seventy communities with 194 (108%) community leaders were trained in gender issues, rights, self-esteem, leadership, management, etc. Water treatment for drinking through the method of Solar Water Disinfection (SODIS): baseline 33.6% and 89.5% in the final evaluation. Adult hand washing in people practice at the 3 key moments: baseline 33.6% and 89.5% in the final evaluation. Practice in the correct use of the toilets: baseline 21 per cent and 65 per cent in the final evaluation. Declaration of open defecation free communities. The project contributed to the financial, technical and social actions for the promotion of sustained healthy hygiene practices, in that it managed to involve various actors in the project communities, mainly the local health authorities. These channeled the demands of the local communities at the municipal level, in order to be incorporated into the respective AOP (Annual Operating Plan) for the appropriate allocation of financial resources. 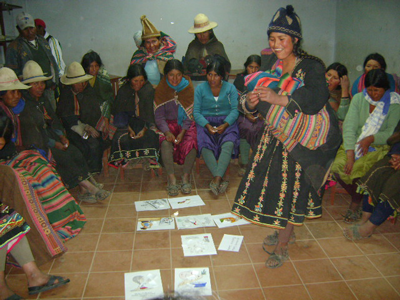 This also contributed to the formation of a promoting committee of new WASH initiatives for the rural sector, the same who undertakes to disseminate and socialize learning and experience between members of CODESAB (Departemental Basic Sanitation Committee of Cochabamba) and other institutional actors. Outcome 1: A participatory plan was built for implementation of the "Hygiene" project with all the stakeholders. Outcome 2: The Women Community Organizations identified and strengthened their capacities to elaborate community projects and they defined the start of the implementation. Outcome 3: The people in 70 communities practice 3 different behaviors: i) wash hands at key moments (before eating, after using the bathroom and before preparing food); ii) consumption of safe drinking water; and iii) adequate excreta disposal. Outcome 4: Statement of at least 16 open-defecation-free communities.